A game of deception, ambush, and tactics, ReconInForce is a turn-based strategy game for iPhone and iPad developed by Riemenrade Studios. Dominate the field with an armada of troops and unlimited strategic options. Sneak through cities and forests or deploy smoke to hide until it is time to strike. Spy on the enemy with scouts to prevent surprises. Leverage the strengths of your commanders and soldiers to attack and destroy the enemy’s base! Test your strategies in single player with three difficulty levels. Challenge your friends in online or local multiplayer. Jump into action as the commander of the free-to-play 17th Guards! Pay to unlock and master 7 additional commanders, each with a special gameplay style and tailored for specific strategies and terrain. Command over 30 unique units with characteristic personalities that add depth to gameplay. Conquer more than 20 battlefields that offer a variety of strategic options for defeating your opponent. ReconInForce will be available on the iOS App Store June 4th, 2015. Sign up for updates from the developer so you don’t miss out! You can also follow on Twitter @ReconInForce or check out the Facebook page Recon in Force. 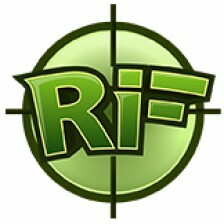 If you would like to review ReconInForce, please send an email to garren@reconinforce.com.